The Tower Tarot card represents the purifying power of fire. It comes with a bolt of lightning that will destroy old habits and ideas. Our ego will crumble to its foundations. Everything we hope to save will be destroyed, and everything we once thought was indestructible will be irrevocably shaken. The Tower Major Arcana card invites us to understand that every life-changing experience comes with opportunities to learn. It is time to recognize that painful losses and disappointments also bring valuable gifts of wisdom. Read on to learn about the symbolism of The Tower Tarot card in the Rider-Waite deck as well as how to interpret this card in a reading, both upright and reversed. The number of The Tower Tarot card is 16, which is 1+6, or 7. 7 is also the number for The Chariot Tarot card. 7 is a powerful number and represents faith. In The Chariot, 7 signified victory and Divine Guidance, yet, this card seems to represent defeat. The fact that the number of this card is 7, though, is a sign that the destruction shown on this card is necessary. Something needs to fall so that something else can rise in its place. The ruling planet for this card is Mars, the planet of fire that bears the name of the God of war. 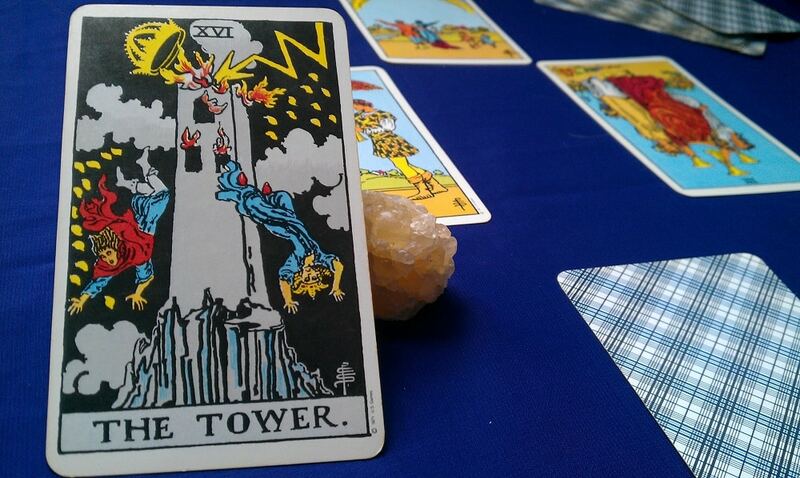 The Tower Tarot card shows a high tower located on the top of a mountain. This tower has three windows and at its peak a crown that got struck by lightning, causing the two tower inhabitants to fall into the surrounding abyss. The tower ignites in flames, and 22 fireballs fly into a dark sky full of gray clouds. The lightning destroys only the upper part of the crown, which represents the head. The two people who fall from the heights signify our knowledge and values. The 22 flames represent the 22 Major Arcana, which are 22 lessons that we must complete to build our own path. The sky full of gray clouds symbolizes misfortune. Sorrow, as well as death, are equalitarian experiences. We will all experience them at some point in our lives. 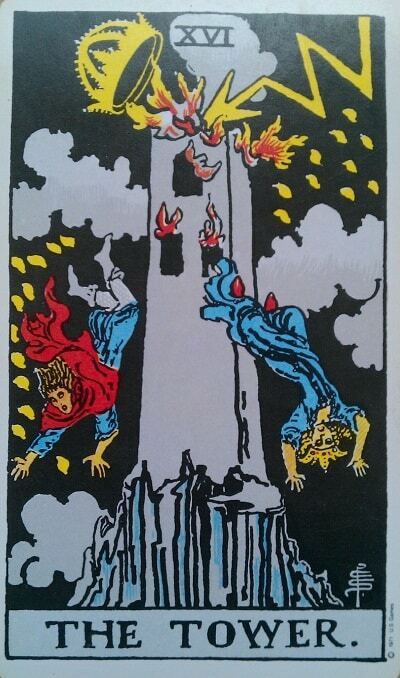 The Tower is one of the most frightening Tarot cards. Along with Death, The Moon and The Devil, there are many misconceptions surrounding this card because it emanates mysterious and destabilizing energy. At first glance, it is clear that the change is imminent. This change will be unexpected and unpleasant, but necessary. Without a doubt, it is a disconcerting image. In the darkest night, a lightning strike hits the top of a tower that burns into flames. The two inhabitants fell into the abyss without even a chance to stop the fall. This card will mean problems for those who don’t like change. Usually we prefer changes to be gradual, but in this case, there is no time to adapt. It is unexpected, fast, and explosive, and it takes us out of our comfort zone, leaving nothing behind. Suddenly, an event breaks the structures that imprison us, leaving only the essential foundations on which we can rebuild our lives. In human history, towers were built mainly for two reasons: to see into the distance, and to imprison the most threatening criminals in the kingdom. Therefore, they were structures of isolation. Height was traditionally seen as a connection with the Divine. Large churches with vaulted ceilings and great towers were built to establish a direct relationship with God. The Tower of Babel brought us closer to God, but it distanced us from our own humanity. In this sense, the height of the tower supposes that we have moved away from the concrete reality, far from our earthly humanity to isolate ourselves. 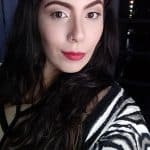 Yet, this can be disastrous in that we can lose the ability to communicate with the outside world and to perceive the needs of the society that surrounds us. The Tower Tarot card is a structure that we built to protect and defend ourselves from hypothetical threats, from imaginary enemies that we have created due to experiences that have made us suffer. At a certain point, this protection may have been necessary, but the time has come to leave our refuge, to recover from our spiritual blindness and receive a “lightning of clear vision,” and “a ray of spiritual understanding” capable of destroying The Tower of isolation. It is time to leave heaven and the realm of ideas and illusions. We must come to back to earth and live in the world. Dark and threatening, The Tower Tarot card is the embodiment of complication and conflict. This card not only symbolizes change but also the need to cope with unexpected and unpleasant moments or with unforeseen and traumatic events. In a spread, The Tower Tarot card is always a threat. Life inevitably implies tragedy, though, and you can decide how you want to face it. 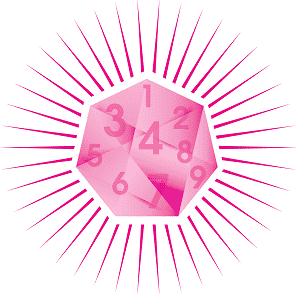 When this card appears in a spread, it means that we must rethink our ideas, material resources, and investments. This card symbolizes a relentless destruction that comes as a “gift” from heaven, a healing energy. It has an energy of destruction, yes, but it also has regenerative energy. Sometimes we need to be shaken in order to abandon painful relationships, situations or jobs that stop our progress. Nevertheless, change can be tough to manage. Keep in mind, however, that relief will come shortly afterward. The appearance of the Tower Tarot card in its upright position is a warning that your life is about to take a 180-degree turn. It could be at work, in love, or even in your beliefs, but the lightning will bring sudden changes that will be abrupt and transformative. In a sense, The Tower Tarot card gives us a lesson in humility. It reminds us that everything that we believe is safe may not exist tomorrow. Everything can change, and we must be flexible in order to adapt. We must also do our best to let go and to welcome the challenges that life brings with optimism. The Tower walls provide security, but also isolation, and they stop us from seeing the outside world. When they collapse, we will be free to try new things and find happiness outside of our comfort zone. You may have to pick up the pieces and restructure certain parts of your life. It will not be a pleasant process, but it is necessary for your growth. In the same way, the Tower can represent your ego and egocentric delusions. When the tower of ego and illusion is destroyed, you become free to face truth and reality without blinders. Are you experiencing a change in consciousness? Are you starting to find a new perspective? Enjoy the opportunity to accept change and move towards a more positive worldview. You are free now. Your family disapproves of your relationship, and it is essential to let them see the importance it has for you. Beware of excesses and carelessness that could cause an accident. In the reversed position, The Tower Tarot card indicates all kinds of losses, suffering, and diseases that could have been avoided. It is a problematic card that urges us to take great precautionary measures. In general, this card is associated with significant changes, risks, and transformations. When appearing reversed, its power is enhanced, and it tells us that not only are unexpected changes coming, but they will also be painful. It is essential to be prepared. 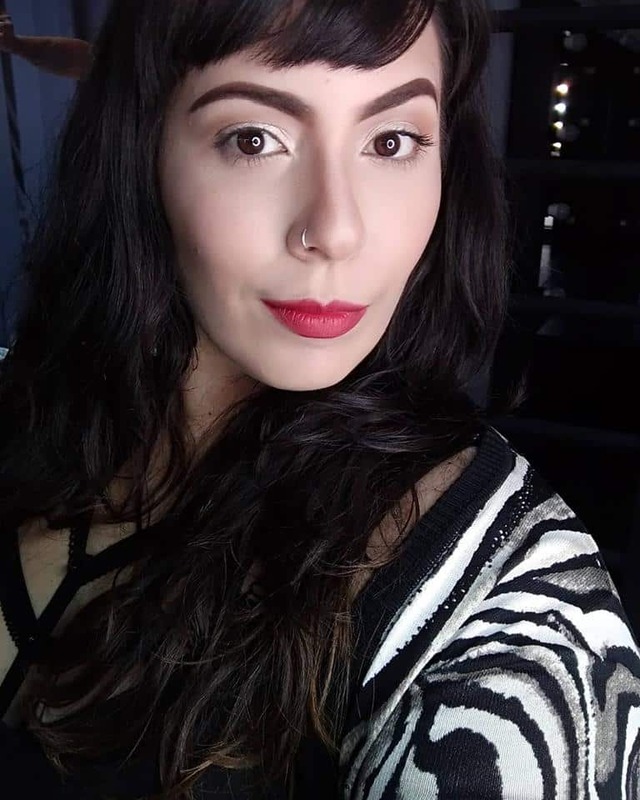 Another possibility is that it could indicate that the transformation, the destruction, or the change of paradigms and circumstances that you need to move forward are stopped because you will not give way to the new things happening in your life. This is not a necessary pause to change perspectives as we found with The Hanged Man. This stagnation involves clinging and resistance to change. It can be challenging to adapt to changes but problematic moments can bring us spiritual lessons and growth. Sometimes, the best thing is to let go. 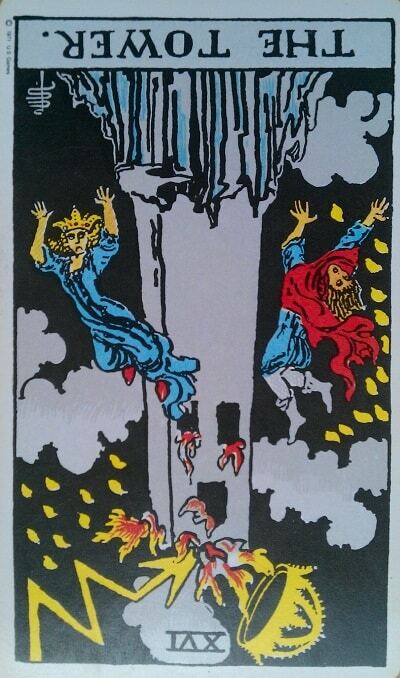 The Tower of Destruction tarot card is among the most frightening major arcana cards. Find the meanings for love, health, work and money.